SALEM, OR. — Former Dallas Cowboys running back, Emmitt Smith, has been named the keynote speaker for the 2016 benefit for the Medical Foundation of Marion & Polk Counties in Salem. The NFL Hall of Famer is is scheduled to speak at the annual benefit on April 8, 2016. Past speakers have included Robin Roberts, former South African President F.W. de Klerk and Olympic speed skater Apolo Ohno to name a few. The foundation was formed in 1999 by the Marion-Polk County Medical Society. More than $1 million has been raised through the benefit to support local programs that assist seniors, low-income families, single mothers, children, women in need of breast cancer screening, and students entering the field of medicine. 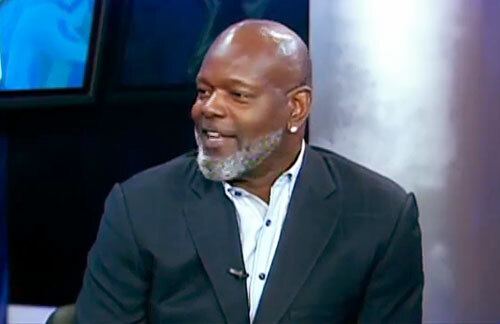 Watch Emmitt Smith speaking with Mike Doocy at Fox 4 News April 2015. Emmitt Smith is considered one of the greatest running backs in NFL history. As the leading rusher, Smith led the Dallas Cowboys to three Super Bowl titles, and was named the MVP of Super Bowl XXVII. Smith was elected to the Pro Football Hall of Fame in 2010, in his first year of eligibility. In 2006, Smith won the third season of Dancing with the Stars with pro dancer Cheryl Burke. Today Smith is a popular motivational speaker. If you would like to book football speakers or professional athletes like Emmitt Smith for a speaking engagement, personal appearance, autograph signing, product endorsement, fundraiser or special event, contact Emmitt Smith’s booking agent for appearance and speaker fees at Sports Speakers 360. For booking agent and appearance fees and costs on how to book Dallas Cowboys players for appearances, call 1.855.303.5450.